Red Desk have been members of various networking groups over the years: WIBN, BNI and most recently Athena. We’ve all enjoyed our time with them but the main thing we’ve discovered is that the networking doesn’t stop when you’ve left the group. Once you’ve built your contacts, you can continue to build those relationships long after you’ve left the group. So for anyone setting up a business, yes the network groups are essential but do bear in mind that the contacts you make will more than likely be with you throughout your business career. There are so many different types of networking groups out there for you to try. Find one that fits in with your personality and lifestyle and then you will begin to reap the rewards, hopefully throughout the life of your business. For those who enjoy structure and early mornings then try a BNI group. We belonged to a local group and now regularly sub for one in Hampstead. If you can only make lunch time events, and prefer to network in the company of women only then try either WIBN or Athena. Try a local group – We’ve tried Small Business Network and most recently N2 United. Networking is one of the best sources of client referral, we’ve built up our business and made some brilliant business contacts on the way. Networking helped grow our business – back in 2012 we were two Virtual Assistants and in 2017 we are now five (plus have regular help from other assistants). We met our fantastic web designer Andy Kinloch (N8tive Web Design) who designs our website and with whom we work closely with several clients. You get out what you put in – if you work hard at trying to find quality referrals for a few people then they will do the same for you. It could take time, as once you start doing work for one person they will then recommend you to someone else. 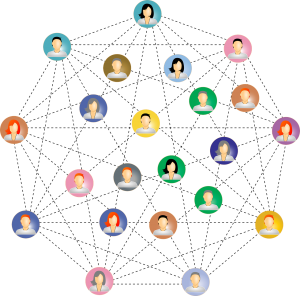 We quite like this article which lists the pros and cons of different types of networking groups. Which one will you try?